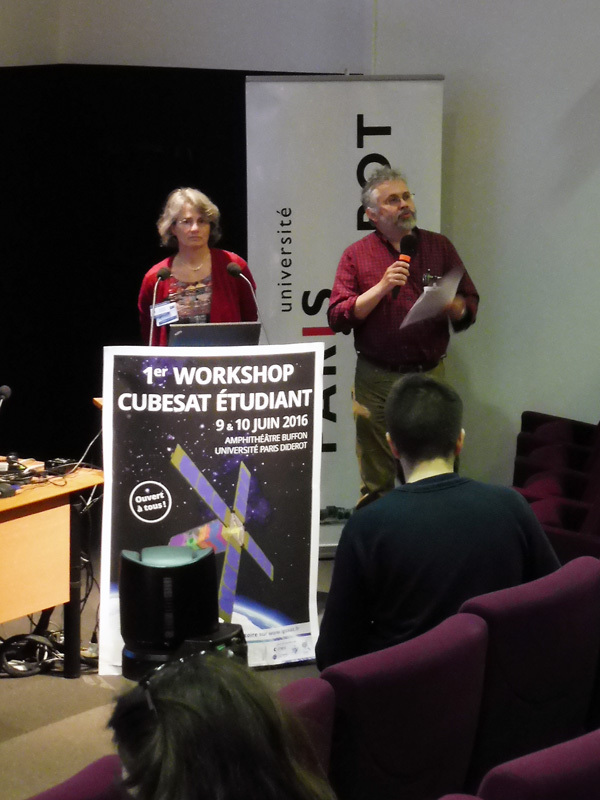 A success for the 1st Student Cubesat Workshop ! 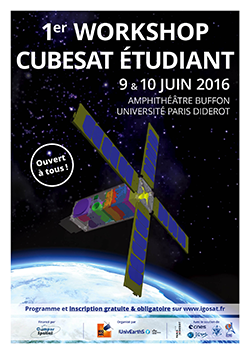 On 9 & 10 June 2016, the university Paris Diderot welcomed the national 1st Student Cubesat Workshop. 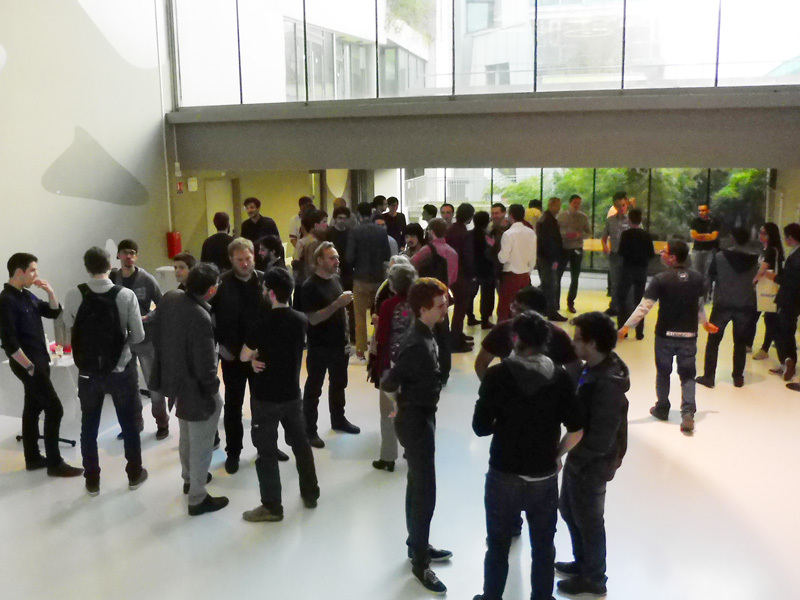 Organized by the Campus Spatial Paris Diderot, the IGOSat project and the Labex UnivEarthS, the event brought together around 100 people around the nanosatellites built by students. 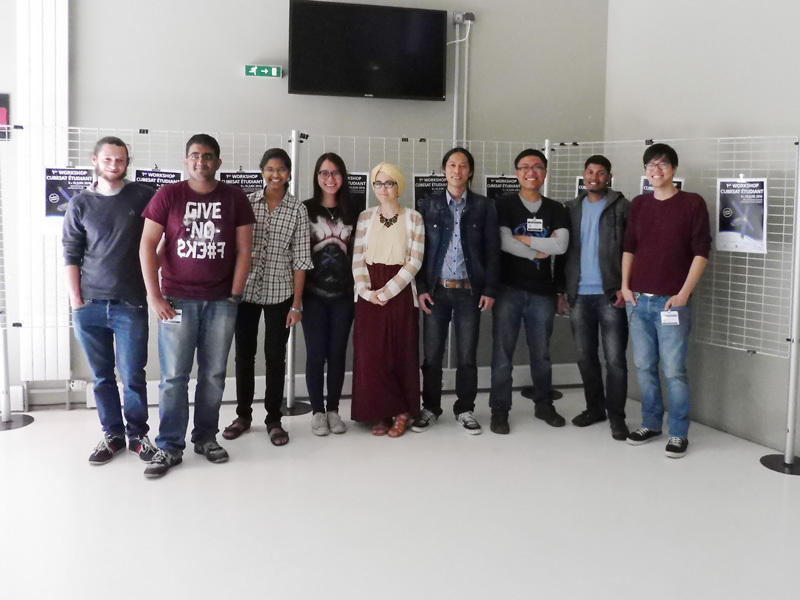 Students and permanent could present their projects under development: : QB50, Picsat, Igosat, Eyesat, Circus, Nanomagsat, Ionoglov, Meteor, OGMS-SA, the ISAE & CSUG Cubesats. 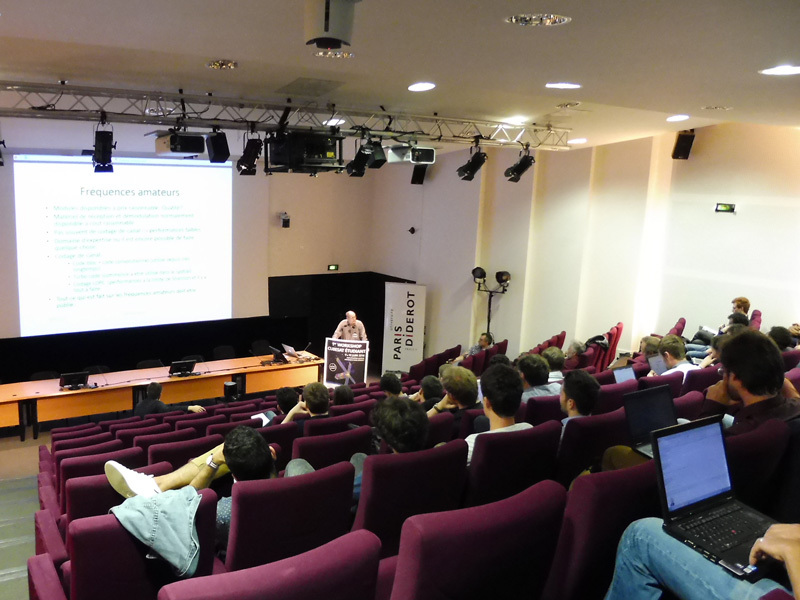 They attended lectures on tools or missions of space field experts, and compared their ideas with members of the CNES (National Center for Space Studies), the laboratory APC (Astroparticle and Cosmology), the IPGP (Institut de Physique du Globe de Paris), the EIDD (Engineer School of Paris Diderot), as well as guests from the EPFL (École Polytechnique Fédérale de Lausanne). The afternoon workshops sessions allowed students to ask any questions about technical subjects: telecommunications, instrumentation, SCAO, flight softwares… These exchange time were particularly popular, because they helped to raise technical issues that come up in all the different projects. A social event organized on Thursday extended informal discussions initiated in the day and established links between the participants. 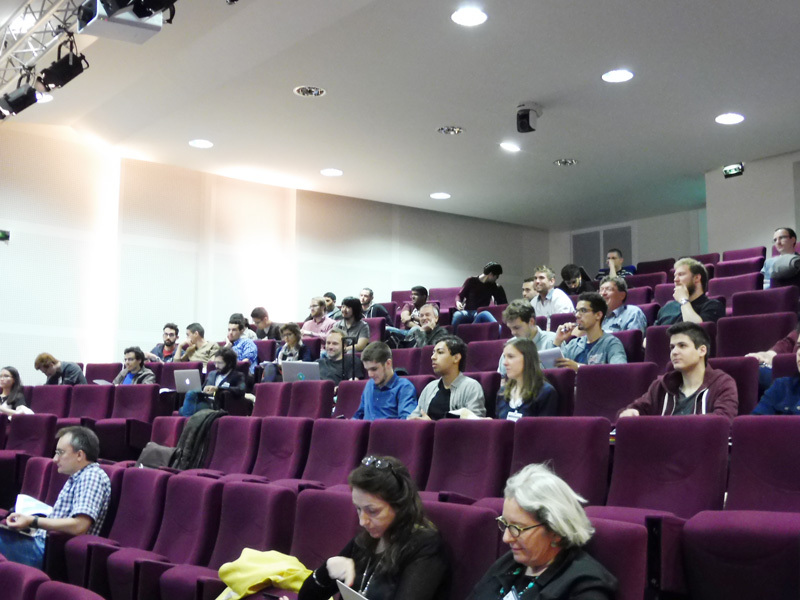 Initial feedbacks on the workshop are very positive and show that students Cubesat cause great interest, on which exchanges are essential to progress. Students know it is a great opportunity to participate in these projects, because they acquire a real and rewarding experience, useful later in their job search. 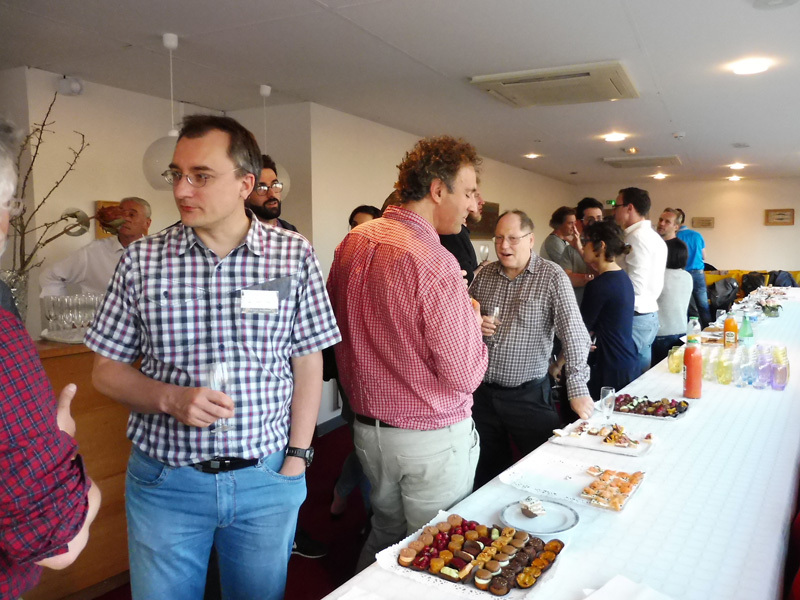 These two days of exchange allowed them to clarify technical points, to discover new horizons and participate in advancing best Nanosatellites student projects. Thanks to the video studio of the University Paris Diderot, all the lectures and discussions was filmed. Find below the complete playlist of 2 workshop days. To go directly to the part that interests you, you can view the video list by clicking the playlist icon in the top left of the player, or go see the complete playlist of the workshop on youtube.